It is possible to eat reasonably on Cinco de Mayo. Tonight we made fish tacos and spicy black beans. I doctored up some canned black beans with onions, garlic, cilantro, and some store-bought fresh salsa. John cooked the cod and warmed through the corn tortillas. Our toppings were shredded cabbage, cilantro, green onions, salsa, and a crema made with yogurt, cumin, and some salt. Rather than a margarita I had a non-alcoholic beer. We enjoyed our Mexican dinner and didn’t blow the bank calorie-wise. 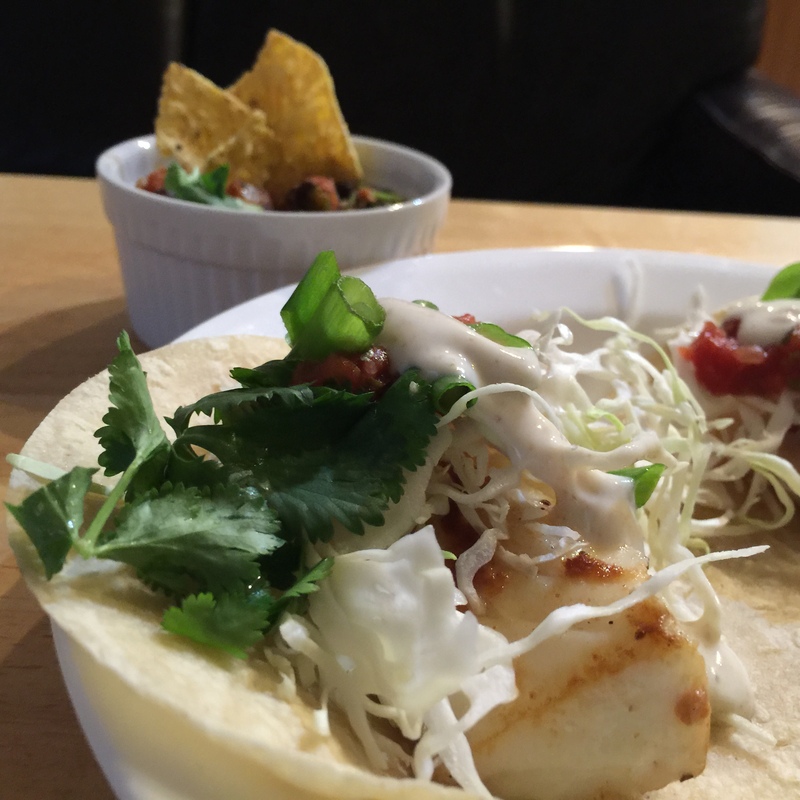 This entry was posted in Fish and tagged black beans, fish tacos, Mexican, Pacific cod, Tacos, tortillas. Bookmark the permalink.